Before 1674: born in the city of Sakai in the province of Senshû. He was related to the Murayama clan, whose most famous member, Murayama Matasaburô I, founded the Murayamaza in Edo. 6th lunar month of 1674: first recorded performance, in Kyôto at Ebisuya's theater, where he performed as a dôkegata; his stage partners were Fujita Koheiji, Komai Shôzaemon, Imamura Kumenosuke, Fujita Minanojô, Kaneko Rokuemon, Nakajima Yaheita, Itô Kodayû II, Tamagawa San'ya, Dekijima Tanomo and Kumamoto Bun'emon. 11th lunar month of 1683 ~ 1684: Sabu performed in Ôsaka for the zamoto Araki Yojibê I; his yearly salary was 70 ryô. 1st lunar month of 1688: Sabu's rank in the Ôsaka hyôbanki, dôkegata section, was jô (superior). Spring 1695: Sabu's rank in the Ôsaka hyôbanki, dôkegata section, was jô-jô-kichi (superior - superior - excellent). 7th lunar month of 1695: Sabu died in Ôsaka. 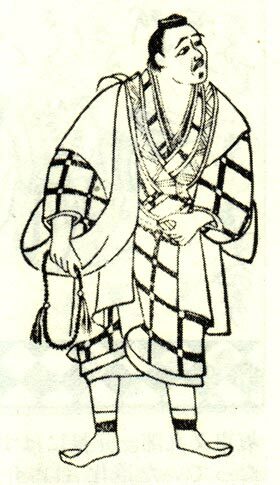 Nanboku Sabu I, who made all his career in Kamigata from the 1670s to the 1690s, was considered at the end of his career as an "old style" dôkegata. According to the chronicles, the audience loved his facial appearance, the way he rolled his big eyes and his weird dancing.